Basic: This grade is on the portfolio as a whole. It’s a simple percentage-based grade (0 – 100%). Internal assignments inherit this grade. 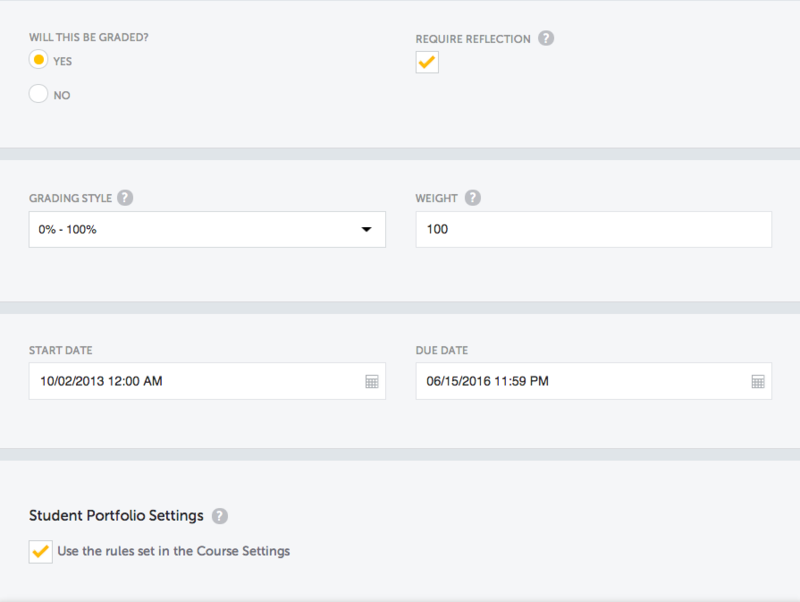 Auto-Calculated: The portfolio grade is calculated (0 – 100%) by using the average grade of internal assignments. Percentages: 0% – 100%: The portfolio grade is set by you ( 0 – 100%). You may optionally use grade weighting. Points: The portfolio is graded using points. You choose how many points are possible. Complete / Incomplete: The portfolio is graded as complete or incomplete. 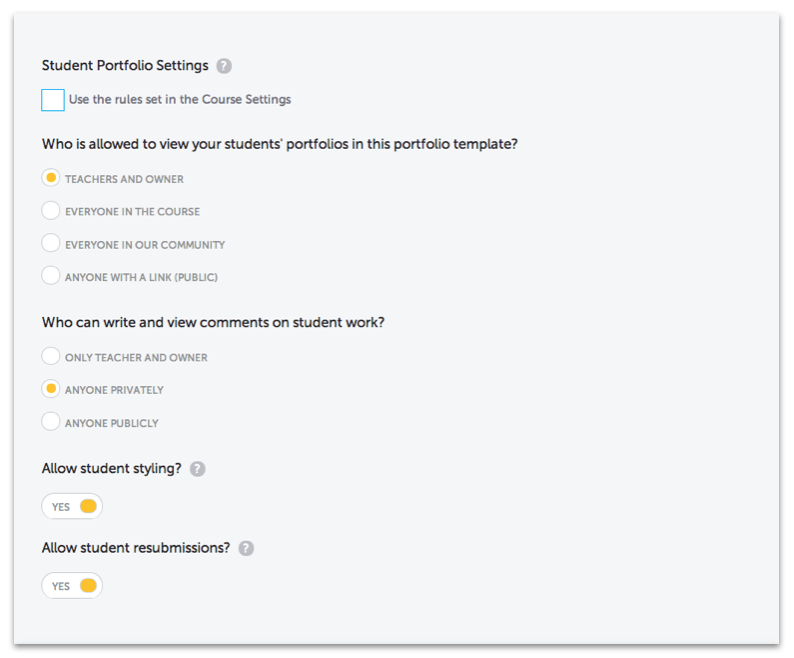 You can carry-over Course Settings such as who can view and comment on student portfolios, allowing students to style their own portfolios, and allowing for resubmissions on assignments. By default, this is enabled. However, you can un-check the box and choose template-specific settings.